Published April 4, 2016 at 2673 × 1768 in Portfolio. Seagram’s asked us to create excitement and appetite appeal for their introduction of new fruit flavors to the wine cooler category. the cartons, bottle labels and new ¬flavors. 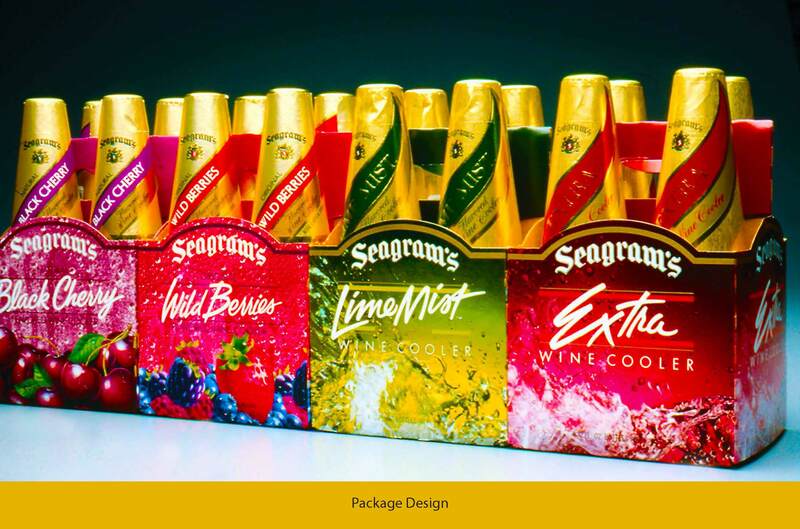 Seagram’s Wine Coolers led the marketplace for the first time and continues to show consistent growth.